Today I wanted to talk about bedrooms. For most people until you have your own apartment or house your bedroom is a place of sanctity. Teenagers, college roommates, adult roommates, and even people living alone usually cherish this space as their little piece of privacy and solitude. I mean, it’s the only space that you can kick someone out of or not have to cater to guests, so why not make it everything you want it to be, right? Well, considering how important the bedroom is, you would think its one of the first rooms that people would decorate when designing their home but it’s not. I am still amazed when I walk into people houses and their bedrooms aren’t reflections of themselves. 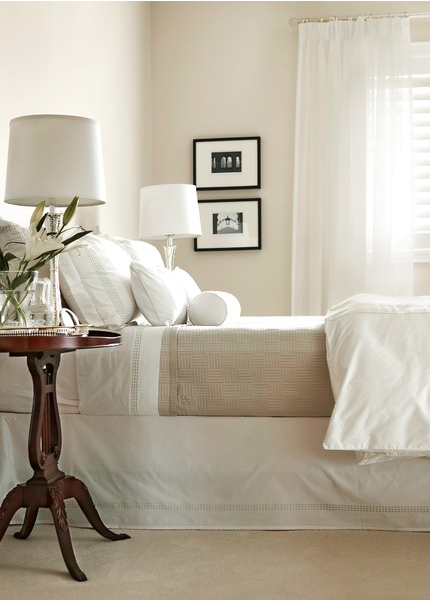 I think there are two reasons why bedrooms, as important as they are, are left untouched. The first being many people move into new spaces and use all of their resources decorating the rest of the home that will be used or seen the most. When I moved into my apartment I had nothing and bought the essentials first, like a couch, table and chairs, tv’s (so important) and a bed last, and the finishing touches followed. When you spend thousands of dollars to furnish and decorate a living room, dining area, kitchen, and bathroom its easy to tell yourself that the space you “just” sleep in can wait. I think another major reason people wait on finishing this space is because most people don’t know what they want their bedrooms to look like and even if they do, its sometimes hard to achieve the look on their own. Many people can look at magazines and showrooms and see things they love and would like to imitate but when it comes to making design decisions like paint colors, furniture, bedding, and accessories they can’t see the finished design and in turn live without design at all. That’s where interior design lovers like myself are here to help! I say if you can hire a professional, you should. Most times, an interior designer or decorator can take your vision and deliver a finished product that’s even better than what you could’ve imagined or produced on your own. If you cannot afford that type of service, then I would say start with pictures and build a design from there. Most times the design process will take you in different directions and you might find that you like different styles and concepts than what you originally thought. What I have found most useful for myself is to start with a piece of furniture, art, or color palette and build from that. For example, If you know you like modern design but romantic settings, choose modern furniture pieces but a soft/neutral color palette. Or if you like nautical design but don’t want it look like you live in a beach house stick to cotton bedding, classic stripes and muted color schemes. Here are two real life examples of how to take a basic concept but apply it to two different design themes. The basic concept in this room was the color scheme. I love grey, it is my favorite color to live and design with. During this time I was into dramatic looks so I painted a bold, graphic stripe on the feature wall and used different shades of grey along with dark furniture, and brown and silver accents. I also used mirrored furniture and a layered chandelier to add interest and achieve the look I was going for. 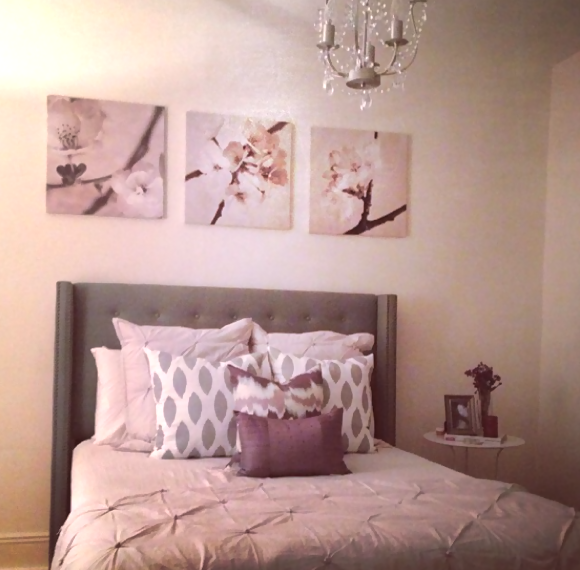 Once again my color scheme was grey but this time I wanted a lighter and romantic look so I used the same bedding but chose a tufted headboard to compliment and repeat the gathered bedding aesthetic. 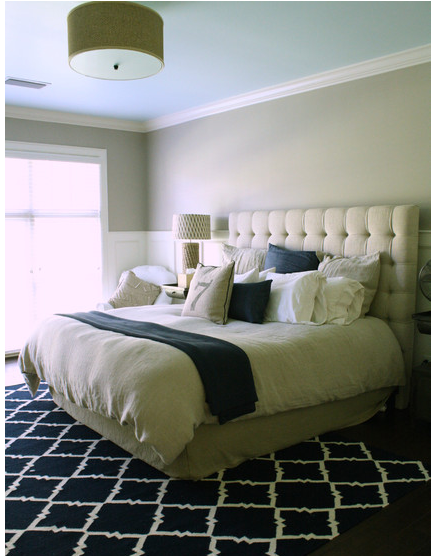 I chose white furniture (side table, dresser and desk not shown) so the room would have a lighter feel and I also used a different chandelier & placed it in the center of the room to anchor the bed as the focal point. The art I chose is a floral print in neutral colors to finish the look. 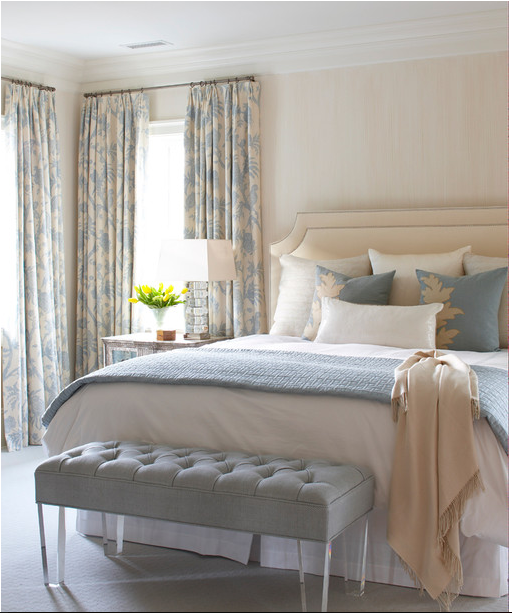 I have included below a bunch of different design style and themes to help you achieve the bedroom of your dreams! 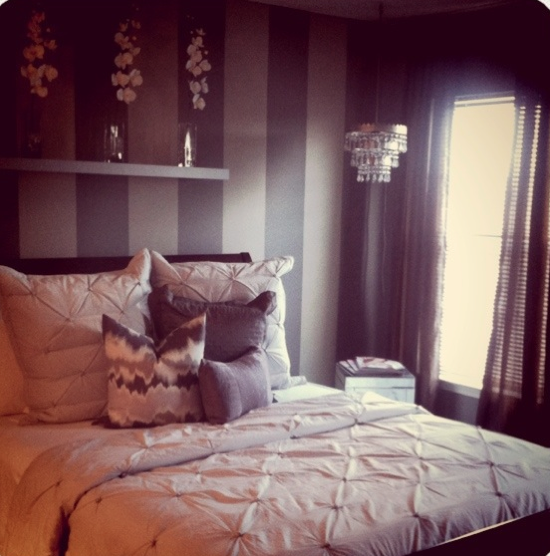 Tags: aael, Bedroom, Color scheme, Decorating, Design, Furniture, Grey, HGTV, Inspiration, Interior design, Interiors, Living Spaces, spaces. Bookmark the permalink.